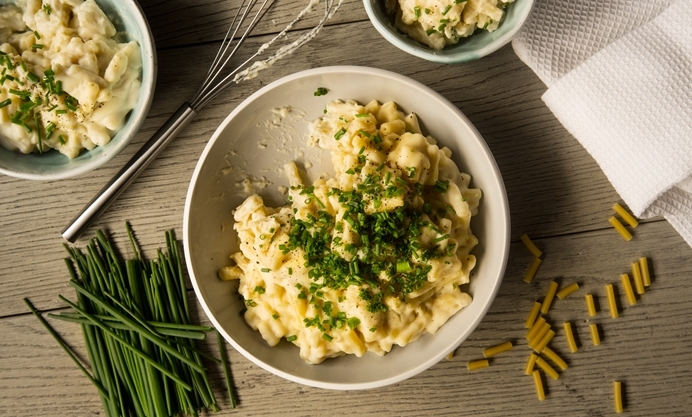 Macaroni cheese is a classic, and thanks to Jacqueline is something vegans can enjoy too. 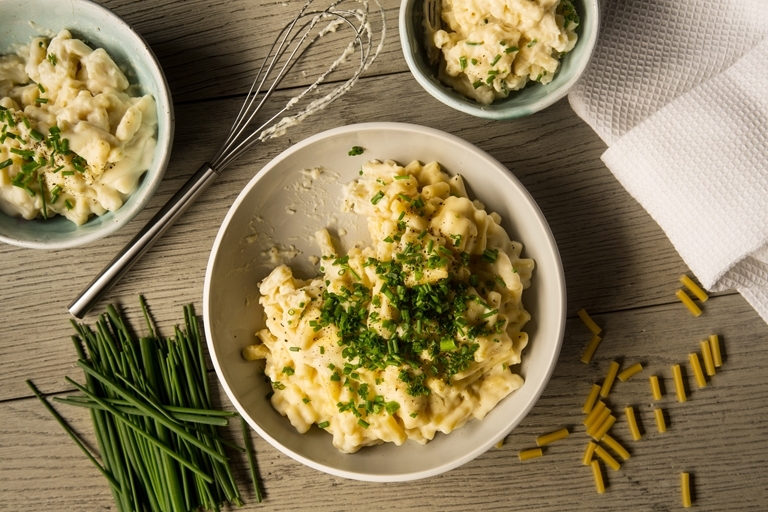 She shares a beautifully creamy (surprisingly cheesy flavoured) and totally vegan macaroni cheese recipe for this dish. My husband has been vegan for a year now, before that he was vegetarian for 25 years. He’d toyed with becoming vegan before, but pathetically only managed for a day before giving in. This time he had resolve and he stuck it out even though he struggled at first. If I’m being honest I struggled at first too. My toddler was still having slightly different meals from us and the last thing I needed was to make a separate meal for my husband too. Very annoying and time consuming. But I soon realised that a lot of recipes were vegan by default, such as a Cauliflower 'rice' biryani or Sweet potato falafel, and my very own Triple tomato tabbouleh or Green lentil, potato and mushroom burgers. Most of my soups were fine for him too and my tomato-based sauces for pasta, so I had a good selection of recipes to cook for him. I started adjusting all of my recipes, but he was still missing out on some of his favourite dishes, including Macaroni cheese, one of his all-time favourites. It was time to step up my game. Making a vegan cheese sauce was easy enough, I just replaced the milk with soya milk and the butter with dairy-free spread. But getting that characteristic cheese flavour was proving impossible, until I had a conversation with an Australian blogger who told me about nutritional yeast. Nutritional yeast is a deactivated yeast that is used by many vegans to flavour food. It’s a good source of protein and vitamins and is often fortified with vitamin B12, which is hard to get in a vegan diet. The best thing about it, is that it tastes cheesy! And voilà! we have macaroni cheese.